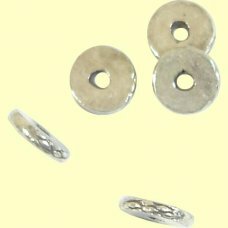 1 Karen Hill Tribe Silver Stamped Disc/ Washer Bead approx. 8x1.5mm. 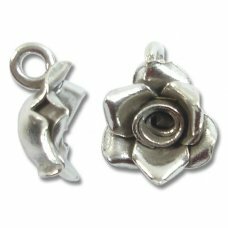 These heavy beads mak..
1 Karen Silver 6 Petal Rose Charm with Hanging Loop; the rose is finely detailed and measures approx..
1 Karen Silver Small 3 Petal Rose Charm with Hanging Loop. Rose measures approx. 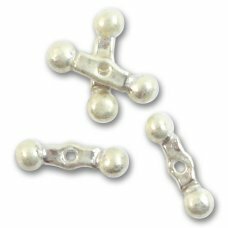 10x10x5mm plus the ..
1 Karen Silver Double Drop Bead, measures approx 12x3x3mmDiscount for quantities 10 and over. This ..
1 Karen Hill Tribe Silver Flower Pendant with Hanging Loop, measures approx 27x25mm This item ..
1 Karen Hill Tribe Silver Bright Heart Bead hole top to bottom through the bead these measure a..
Karen Hill Tribe silver patterned loop charm. 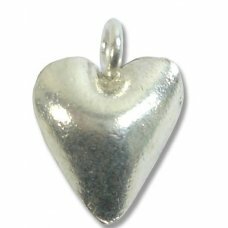 Measured approx 15 x 10mm inclusive of hangi..
1 Karen Hill Tribe Silver Small Faceted/ Hammered Heart Charm. 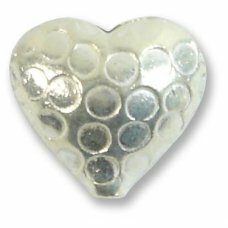 Regular hammered facets on ..
1 Karen Hill Tribe Silver small hammered heart bead, approx 12x12x6mm This item is ma..
10 Karen Silver Freeform Stick Dangles. 1.8mm diameter sticks with small holes drilled at top. ..
1 Karen Hill Tribe Silver Cube Bead measures approx 6.6x6.5x5mm This item is made by the Karen..
1 Karen Hill Tribe Silver Wire Wool Charm with hanging loop. These are a jumble of karen silver..
1 Karen Hill Tribe Silver Lattice Bead Charm with hanging loop, football shape with holes. Meas..
1 Karen Hill Tribe Silver Hammered Lentil Charm with hanging loop. 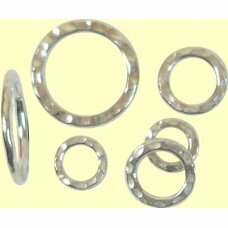 Measures approx 10x14x7mm. ..
1 Karen Hill Tribe Silver Tiny Flower Charm/ dangle with back mounted hanging loop. Measures ap..
1 Karen Hill Tribe Silver Small Flower Charm with hanging loop. Measures approx 13x11x5mm This..
1 Karen Silver Small AngelFish Charm with hanging loop. Measures approx 15x13.5x4mm. This item is m..
1 Karen Hill Tribe Silver Squiggle Flower Charm with hanging ring. 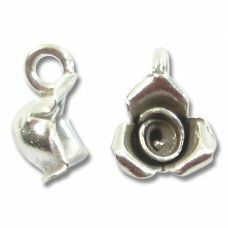 Measures approx 8 x 13 x 3mm..
1 Karen Hill Tribe Silver Flower Charm with hanging ring. Measures approx 8x12mm. Flat charm wi..
1 Karen Hill Tribe Silver Open Heart Pressed Design Pendant with hanging ring. Measures approx ..
1 Karen Hill Tribe Silver Leaf Charm with hanging ring. 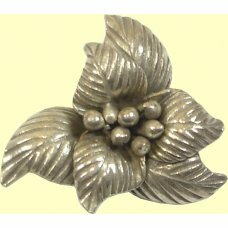 Measures approx 27 x 7 x 1.5mm. Design ..
1 Karen Hill Tribe Silver Stamped Leaf Pendant - lovely pendant with detail to one side measure..
1 Karen Hill Tribe Silver Bright Daisy Dangle; measures approx. 20mm (including loop) x15x5mm w..
1 Karen Hill Tribe Silver Nautilus Shell Beadwith a hole right through these beads measure approx. 1..
1 Karen Hill Tribe Silver Stamped Oblong charm with Hanging Loop stamped on all four sides with..
1 Karen Hill Tribe Silver Heart Charm with heart detail on both sides. Measures approx 6x11x2mm..
10 Karen Hill Tribe Silver Wrapped Bicone Beads measure approx. 4x5mm. This item is made by th..
1 Karen Hill Tribe Silver Brushed Effect 12mm Round Bead this is a heavyweight bead with lots o..
1 Karen Hill Tribe Silver Fluted Scallop Shell Bead with detail on both sides these have a hole top ..
1 Karen Hill Tribe Silver Shiny Rondelle Bead measures approx. 9x5.5mm.This item is made by the..
1 Karen Hill Tribe Silver Heart Pendant with engraved lines detail on both sides. Measures appr..
1 Karen Hill Tribe silver heart single sided curved pendant with lined/ antiqued effect. Measur..
1 Karen Hill Tribe Silver Stamped Heart Bead hole through the middle of the heart top to botto..
1 Karen Hill Tribe Silver Stamped/Hammered Seahorse Pendant gorgeous little seahorse measures a..
1 Karen Hill Tribe Silver Brushed Pierced Bauble Charm this is so pretty with a lovely feel to ..
1 Karen Hill Tribe Silver Strawberry with Hanging Loop fabulous detail with hole top to bottom measu..
1 Karen Hill Tribe Silver Open Heart Pendant with Hanging Loop with stamped detail on both side..
1 Karen Hill Tribe Silver Fish Pendant a great pendant for a Piscean perhaps? This pendant has a hol..
1 Karen Hill Tribe Silver Small Rose Pendant with a hanging loop at the back this little pendan..
1 Karen Hill Tribe Silver Flat Heart suitable for stamping or just using as is this heart featu..
1 Karen Tribe Silver Dolphin Charm with a loop at the top for hanging detail on both sides thes..
Karen Hill Tribe silver flat heart charm. Plain both sides. Approx 10 x 15mm inclusive of hangi..